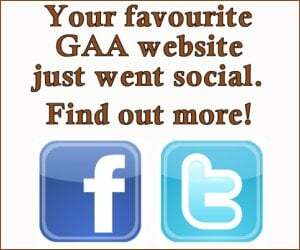 Gaa: It was another busy weekend in league action. On Saturday last we travelled to Ballinagore to take on the home side in the Div 4 league. A win would see us pushed up the standings in the table , and we got the perfect start. David Fox was on fire , shoring very well in the forward line , and he kicked some excellent points in the first half taking the game to Ballinagore. As the half wore on both sides traded points , Damien Boland drove up the field from corner back to kick a fine point off his left foot. As half time approached, Ballinagore got the final point of the half to leave them one point up at half time. Ballinagore started the brightest in the second half , but our lads slowly got a foothold in the game with Paidi Keenan , Matty Farrell, Ciaran Maxwell & Liam O’Neill getting on a lot of ball around the middle. Ballinagore struck for a goal and with ten minutes to go we were two points down. The bench was emptied by the management, with Peter Elliffe, Lorcan Daly, Cathal Daly , Ben Cox & Damien Carroll entering the fray. From here on in, we took over the last ten minutes. Scores from David Fox , & Cathal Daly got us back level , with Lorcan Daly stepping up to kick the winning point to give us the win by 1.13 to Ballinagore’s 1.12. Well done lads. ACFL Div 1: We welcomed Tyrellspass to the park on a wet and cold morning last Sunday. Our lads were hoping to keep there good run going in the league going. We started slowly with playing conditions very tough and with Tyrellspass setting up ultra defensive , we were finding it difficult to break our way through. Eventually the scores started to come with good scores from Sean Pettit and Boidu Sayeh. A fortitudes goal by lorcan Daly got us back in the game and as both sides headed for the dressing rooms at half time, we were two points up. Playing with the breeze in the second half our lads took over the game, driving forward at every chance with Plunkett Maxwell, Theo Watts, Declan Mullen, Enda Boland , Boidu Sayeh, Damien Carroll & Padraig Nestor picking up a lot of ball in attacking positions from midfield. Points by Sean Pettit , Ben Cox, Lorcan Daly, David Fox and a Sean Pettit goal sealed the win for us on a score of: Rosemount 2.13, Tyrellspass 2.03. Well done lads on a great win. We would like to thank Niall Ward and his umpires for officiating the game , and we wish a speedy recovery to the Tyrellspass player who suffered an injury in the second half. Also, a sincere thanks to all those who donated kindly to our collection for the Lee Wallace fundraiser. In total €1,430 by raised by both clubs at the gate, a fantastic achievement. Alan Mullen. Well done to all. Easter Egg Hunt & Coffee Morning will take play on Easter Sunday at 11am in the park, all proceeds are in aid of Rosemount Playground. Please support. Enrollments for children starting in Rosemount school in September 2019 are now being taken. Forms are available from the school - contact number is 090 64 36220. Forms are to be returned as soon as possible. Rosemount Gaa club gear is now available on the O’Neills website. There are various different items of gear including socks , shorts, t-shirt’s, jackets, tracksuit bottoms and hoodies and all Include the club crest. You must register on the O’Neills website before you can make any purchases. Lotto: Our next lotto draw is Monday the 29th of April at 9pm in his hall. Tickets available from all committee members, or in The Stile Bar. Please support. Astro Turf: Bookings available for the Astroturf Pitch, only €35 per hour. For more information or to make a booking contact Kevin Keenan on 0879481521.